When you spend seven figures on a car, it's a given that you won't be taking it into Jiffy Lube for any quick oil changes while you wait. But the actual price estimate on how much it costs to get an oil change for a Bugatti "hypercar" might still surprise you. A recent YouTube video from luxury car rental service Royalty Exotic Cars tells the tragic tale: An oil change for a $1.7 million Bugatti Veyron (the least expensive bargain choice of the Bugatti line) is said to cost about $21,000. 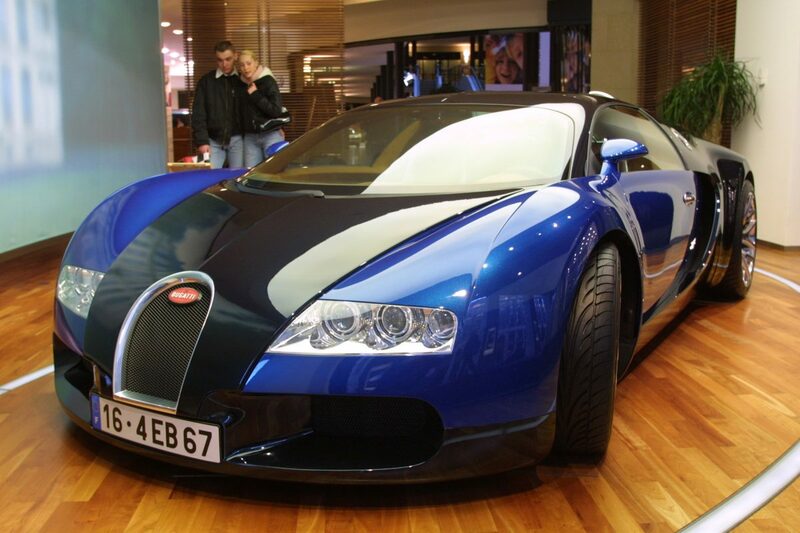 "Bugatti services are so expensive because of the exclusivity of the product. Only select individuals own a Bugatti and the owners tend to have one or more Bugattis." "The Veyron uses a dry-sump oiling system with 16 different drain plugs, accessible after intricately removing parts of the underbody, which takes hours. Refilling requires removing the car's grill, rear fender liners and rear deck." Conventional wisdom recommends an oil change every three months or 3,000 miles, but the Bugatti standard has different conventional wisdom on that note as well. Luckily for thrifty Bugatti owners (if there are any), oil changes are only recommended as a once-a-year procedure, whether the car has been driven thousands of miles or no miles at all. And you're not going to be able to get any savings in the tires either, as Costa says that a set of tires for Bugatti automobiles come to about $38,000.